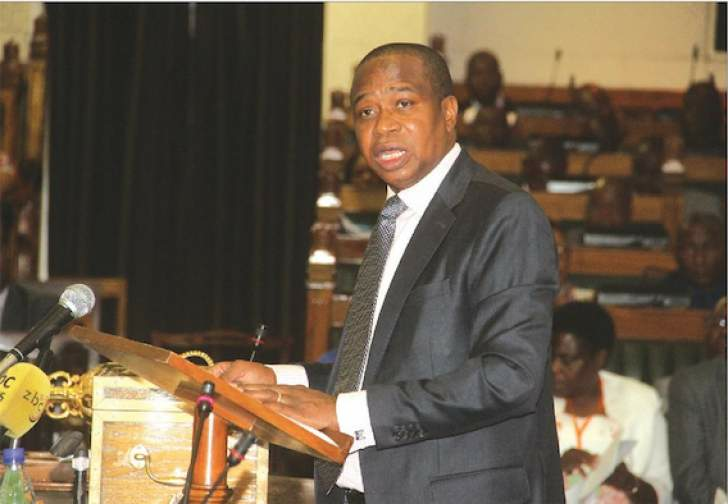 Finance and Economic Development Minister Professor Mthuli Ncube yesterday defended the payment of import duty in foreign currency in his 2019 National Budget Statement saying the measure was premised on the ability to pay the principle. Prof Ncube said the number of imported vehicles had increased by 700 000 within the last 12 months and that there was need to curb such imports using scarce foreign currency. He said this in the National Assembly while responding to several concerns from backbenchers that it was wrong to levy duty in hard currency on people whose salaries was paid in bond notes or RTGS. Harare East legislator Mr Tendai Biti (MDC Alliance) had also indicated that levying of duty in hard currency only was unlawful as bond notes were also legal tender. "This measure is based on the ability to pay principle. In order to import, an individual requires foreign currency, therefore the source of foreign currency to import can also be the source of foreign currency to settle the duty requirement component. This brings out the element of ability to pay. It is also worth noting that this proposed measure is a demand management mechanism which is aimed at reducing the propensity to import using scarce foreign currency resources," said Prof Ncube. "I must add that Zimbabwe has about 1,7 million cars and in the last 12 months we had an increase of 700 000 cars in one year alone. This is a huge increase, it is increasing the demand for fuel." Prof Ncube also dismissed assertions that the introduction of excise duty was inflationary. "The proposed review of excise duty on fuel is not expected to have a significant impact on the level of prices since international oil prices have been declining hence provides leverage against inflationary pressures in the first place. The current pump prices bear testimony to this fact. Retail prices are lower than those that were obtaining prior to the increase in excise duty. On the contrary they have been dropping," said Prof Ncube. He said Government would ring-fence $310 million from the 2 percent Intermediated Money Transfer Tax so that it would support devolution and social services such as education and health. "We are taking money from people and giving it back to them by catering for devolution. We have allocated $310 million and distribution to provinces and districts will be determined by the population and sizes among other fundamentals," said Prof Ncube. He said Treasury had this month released $30 million towards settling the arrears on Basic Education Assistance Module (BEAM).